WTWT is run by Rachel Blackmore, Ponja Tayai, Embapa Runguna, Esupat Oloulu, Peesoi Lengitek and Mbario Lemomo. We have UK and Tanzanian trustees. We are very grateful to our dedicated Tanzanian staff, our UK and Tanzanian trustees and our financial donors who make our work possible. 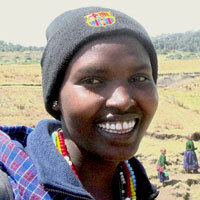 Esupat trains women in our Microfinance Loan Project, and teaches adult numeracy and literacy and health education. She is invaluable with encouraging the women loan recipients with their businesses and record keeping. Co-founder of WTWT, Rachel has worked voluntarily since 2005, fundraising in the UK and liaising with our staff and the community in Tanzania. She is a trained nurse and midwife. Peesoi works for our Community Health Education Programme, teaching all aspects of health, hygiene and nutrition. Her skills with drama and song make for lively, enjoyable and memorable participatory learning workshops. She also teaches adult numeracy and literacy and supports women in the loan programme. Embapa has been working with us since 2011. He has been a great asset to our team with strong community links. He is our Project Manager responsible for the Microfinance Loan Programme. Ponja was our first contact when we visited the area in 2005 and has been with us ever since. Without him none of our work would have been possible. He organised the wells and other water projects and became our official Coordinator when we registered as a charity in the UK in 2008. He registered our link organisation in Tanzania, called KCT (Korongoro Community Trust). Mbario joined KCT in 2018. She is a trained doctor and is enthusiastic in teaching and facilitating discussions in the Community Health Education Programme, including teaching about the harmful effects of FGC and child marriage. She encourages girls to complete secondary education. WTWT was set up following our family visit to the Ngorongoro Conservation Area in 2005. We had an opportunity to visit the local people and were first met and shown around by Ponja Tayai from the village of Irkeepusi in Nainokanoka Ward. We became friends and over subsequent years we have been back many times, made more friends and been welcomed into their homes and the community. We have learned about the huge challenges they face on a daily basis. Ponja is our Coordinator and works with our other staff through the Community Based Organisation ‘Korongoro Community trust’ (KCT). We have great encouragement and funding from individuals and organisations in the UK, USA and other countries around the world which have enabled us to support the communities in Nainokanoka Ward with their solutions to these challenges. 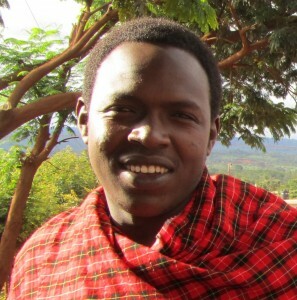 We now have 5 Tanzanian staff from the villages where we work and are looking to expand and support projects in more wards in the Conservation Area. 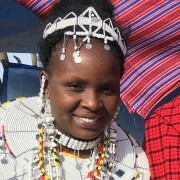 The Maasai people have a strong social structure and are proud of their cultural heritage, but their pastoralist way of life is threatened by the effects of climate change, restrictive conservation practice and poverty. Child mortality is high and life expectancy is low. Children are dying of hunger, malnutrition and easily preventable and treatable diseases and women are dying in childbirth. They are a determined and adaptable people who are working hard on solutions to these problems through education and microfinance loans to increase their economic activities beyond pastoralism. The Ngorongoro Conservation Area, where we are working, is a World Heritage Site and an area of outstanding natural beauty. It contains the Ngorongoro Crater, a collapsed extinct volcano, or caldera, rich in wildlife and visited by hundreds of thousands of tourists each year. 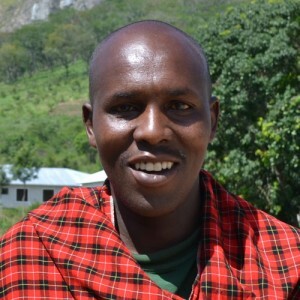 However, the Maasai who live in the area have few benefits from the tourism and their extreme poverty is partly due to restrictive conservation practices such as no longer allowing their small scale, but lifesaving, subsistence farming. Another contributing factor is the increasing unreliability of the rain as the climate changes. The 6 villages we are currently supporting in Tanzania are called Irkeepusi, Nainokanoka, Bulati, Naiyobi, Kapenjiro and Iltulele. Together they form the wards of Nainokanoka, with a population of 15,673 and 16,354 cattle, and Naiyobi with a similar population. The villages are made up of many scattered collections of family homes called bomas, spread out over a 100 square kilometre area on the eastern rim of the Ngorongoro crater. In the UK WTWT has eight trustees, Rachel, David and Daniel Blackmore, Tim Shewbridge, Ruth Cornish, Suchita Raja, Vivienne Pangalos and Helen Williams. All of our trustees bring their individual skills and areas of expertise to liaise with our Tanzanian staff and assist with planning and fundraising in the UK. Tim is an accountant, financial director and our treasurer. Helen is a researcher into Maternal Heath and is able to advise us on monitoring and evaluating our Community Health Education. Ruth is a GP in the UK and is able to give advice on Health Care improvements. 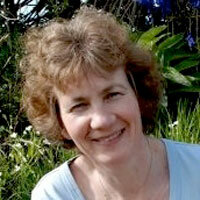 Vivienne is a strategic planner and advises us on our FGC programme planning. Suchita is a management planner who assists with ideas for fundraising and supporting the children with education. Daniel is an artist who illustrates our teaching resources for health and FGC as well as designing our fundraising Christmas cards. David is a film editor and charity fundraiser and coordinator. Rachel is a nurse, midwife and charity fundraiser and coordinator. Our name ‘WTWT’ stands for ‘Weston Turville Wells for Tanzania’. It came from our village ‘Weston Turville’, Aylesbury, Buckinghamshire (not far from London), UK and our first water project ‘Wells for Tanzania’. People from our village have been very supportive of our work, as have our families and friends and many others from further afield.